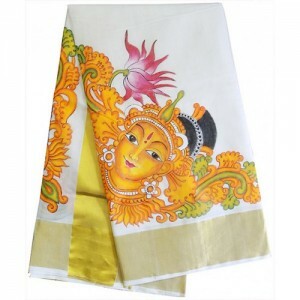 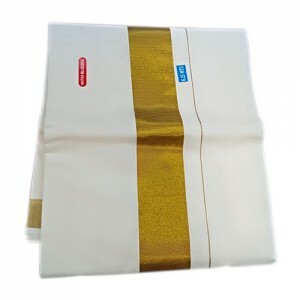 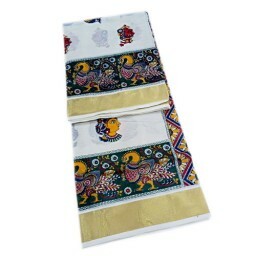 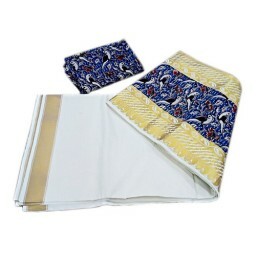 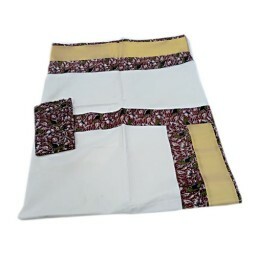 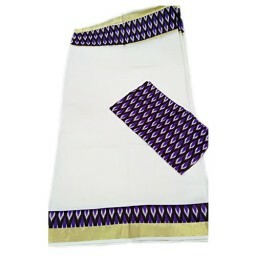 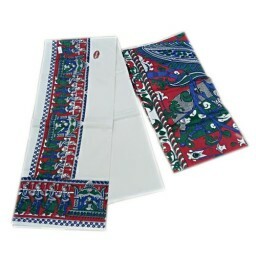 Buy Kerala Saree with Double Kalamkari Design Border. Exotic designed kerala kasavu saree with golden and rich Double Kalamkari design at border and pallu. 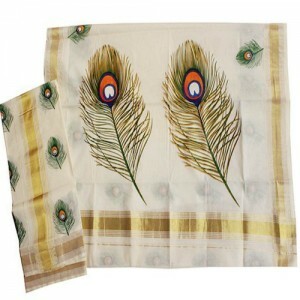 Along with Kalamkari blouse piece is free with this. 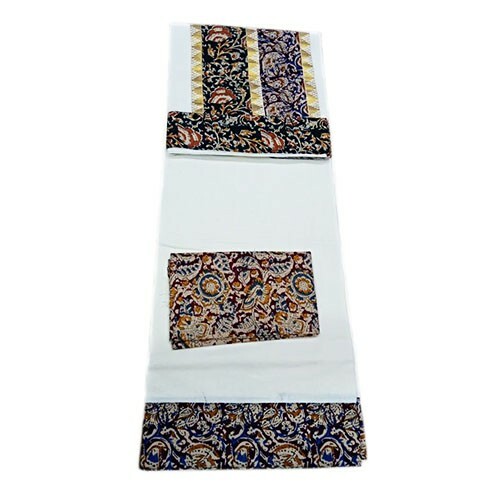 Kalamkari design may slightly vary. 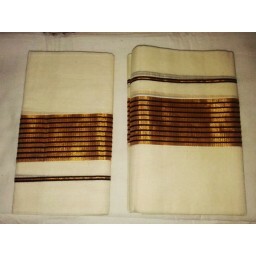 And the main speciality is the saree have the thick light large kasavu on the jari. 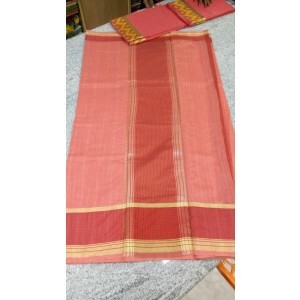 Saree length 6.25 meters including blouse piece to be cut. 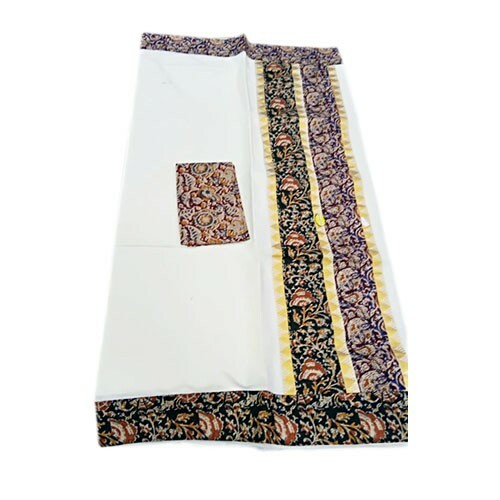 Buy Kerala Saree with Double Kalamkari Design Border. 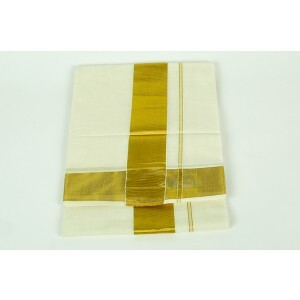 Onam gifts delivery to Kerala. 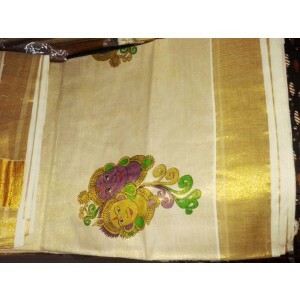 Exotic designed kerala kasavu saree with golden and rich Double Kalamkari design at border and pallu. 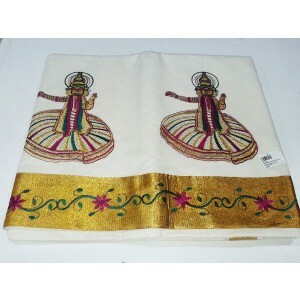 Along with Kalamkari blouse piece is free with this. Kalamkari design may slightly vary. 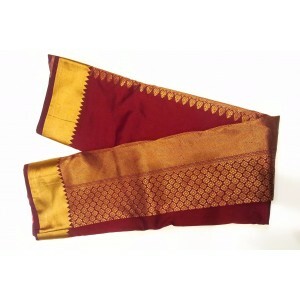 And the main speciality is the saree have the thick light large kasavu on the jari. 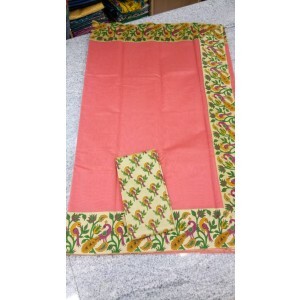 Saree length 6.25 meters including blouse piece to be cut.